Ecco, 2003. Ferran Adria is widely considered to be the most innovative, most influential, and indeed the greatest chef in the world today. Culinary giants like Thomas Keller venerate him. El Bulli, the restaurant where he creates his masterpieces, has become a pilgrimage site of sorts; food connoisseurs from around the world journey down a dizzying coastal road to Roses, Spain to experience his unconventional tasting menu -- often consisting of 25 or more courses. But if you want a reservation, get in line. (N.p. ): Limited Editions Club, 2003. Mitchell, Dean. Folio. One of 400 copies. Signed by artist, Dean Mitchell, musician, Wynton Marsalis, and author, Maya Angelou. 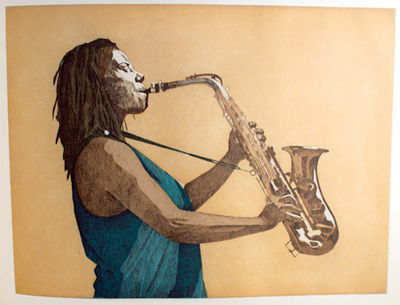 Angelou's poem "Music, Deep Rivers In My Soul," which is an original text written especially for this edition, is accompanied by six color etchings by Mitchell, editioned by Peter Pettengill at Wingate Studio. A CD with a thirty-minute performance by Angelou with music written and performed by Marsalis was issued with the book. Designed and printed at Golgonooza Letter Foundry and Press by Dan Carr and Julia Ferrari. Bound by Carol Joyce at Academy Bindery in sand cloth. LEC Newsletter announcing the book laid in. Lacking CD, else fine in matching sand clamshell box. (N.p. ): Limited Editions Club, 2003. Michals, Duane. Folio. (21)ff. One of 300 copies. Signed by the artist. 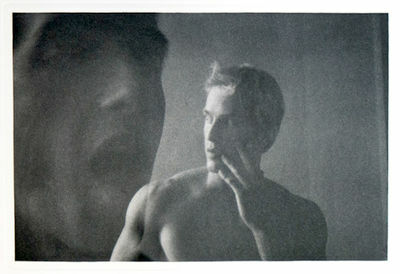 Illustrated with five photographs by Duane Michals, recreated as gravure prints by Jon Goodman. Designed by Dan Carr of the Golgonooza Letter Foundry and Press, who chose to alternate the lines of the original Greek text in Gill Sans Light with the translations by Edmund Keeley and Philip Sherrard in Dante. The text was printed by the Golgonooza's Julia Ferrari. Bound by Carol Joyce of the Academy Bindery in dark purple cloth. Limited Editions Club Newsletter announcing the book laid in, lightly creased. Very fine in matching clamshell box. La Cortigiana. A cura di Giorgio Barberi Squarotti. Con 12 tavole originali a colori di Plinio Martelli. Livres d'artistes - Raphaël Augustinus Kleweta. Les Signatures ou l'art sublime à révélé le sens caché des choses. Mise en valeur par les textes de Johannes Kepler, Cornelius Agrippa von Nettesheim, Cavaliere Giambatista Della Porta, Jacob Boehme, Frédéric Novalis et sept gravures sur cuivre de Raphaël Augustinus Kleweta. Belvezy, novembre 2003, collection "Paracelsica" 17 x 13 cm, papier d'Arches 250 gr., couverture bleue illustrée ; septs gravures sur cuivre aux bords martelés, eaux-fortes et burin, tirage en couleurs, couverture de cuire fauve décoré, boîtier en chêne clair peint à la main. Tirage à 99 exemplaires, celui-ci N°35. Né à Lodz en Pologne dans une famille de peintres et graveurs, il va, lui aussi suivre cette voie qui va le mener en Allemagne puis au pays Cathare dans l'Aude, ou il va s'installer. Passionné d'alchimie, il cherche en permanence le sens des symboles, des mots, des couleurs, du papier, etc. ; en utilisant son outil de prédilection, la gravure à l'eau-forte et à l'aquatinte éventuellement complétée d'aquarelles, il nous délivre des séries de messages, clairs ou cachés, graves ou pleins d'humour, toujours profonds et qui débouchent immanquablement sur de nouvelles interrogations et toujours, avec la quête du sens ... Nous avons le plaisir de vous présenter quatre ouvrages curieux qui sont une petite partie de son oeuvre, "autrement dit, chaque livre est une sorcière, qui nous chuchote toute la compréhension de l'avenir qui habite en elle ... l'âme du monde". R.A.K. Il a fondé sa maison d'édition : Anima Mundi. Tous ces ouvrages ont été publiés par les éditions Anima Mundi et signés par R.A. Kleweta. Toutes les aquarelles sont originales, le décor de chaque boîte, fait à la main, est unique. 2003 50 x 40 cmPhotographie, tirage analogique sur papier argentique d'atelier 1/10, signée au crayon au dos. Neuvième "tableau" de la série "Transparences", 50 x 40 cm., encadrée. Edouard de PAZZI (né en 1964) vit et travaille à Paris. Photographe depuis 1988, il collabore à divers magazines et effectue de nombreux voyages comme photographe-reporter. A partir de 2001, Edouard de PAZZI se lance dans la photo d'art. En 2007, il est exposé à la MEP (Maison Européenne de la Photographie). "Je place souvent mes modèles « en suspension », dans un non-décor, évitant ainsi les détails qui pourraient renvoyer à une époque, à une situation, à un lieu donné. Je cherche à réaliser des photos plus achroniques qu'anachroniques. Je pratique aussi beaucoup le portrait ou plus exactement je photographie souvent des visages car il est rare que je cherche à représenter une personne en particulier, mais plutôt une idée que je me fait d'elle, cherchant dans le hiératisme des poses, l'aura qui émane d'elle plutôt que le sentiment qu'elle voudrait exprimer". Cette oeuvre représente un nu féminin de face en contact avec une porte vitrée permettant à l'artiste de jouer sur les contrastes et les points de contact. London: Bloomsbury, 2003. First edition. Fine/Fine. A Fine copy of book five in the Harry Potter series in like dust jacket. Signed by the author directly on the half-title page. With bookmark from the June 21, 2003 release laid in, along with bookplate sticker, do not disturb sign and progress stickers (also from the release). Harry returns to a decidedly different Hogwarts experience after Dumbledore is replaced by Dolores Umbridge as the headmaster of Hogwarts. Umbridge refuses to train the students in magic useful in defending against the dark arts, so Harry and his cohorts form "Dumbledore's Army" in an attempt to prepare for battle. The training proves useful when Voldemort lures Harry to a secluded location and a skirmish ensues that claims the life of Sirius Black, ending the book on a darker note than some of the previous works. Fine in Fine dust jacket. Munich, Germany: Prestel Verlag, 2003. First Edition. 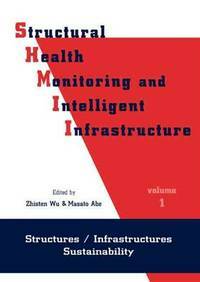 First Printing.. Hardcover. As New/As New Dust Jacket.. Munich, Germany: Prestel Verlag, 2003. Hardcover. As New/As New. 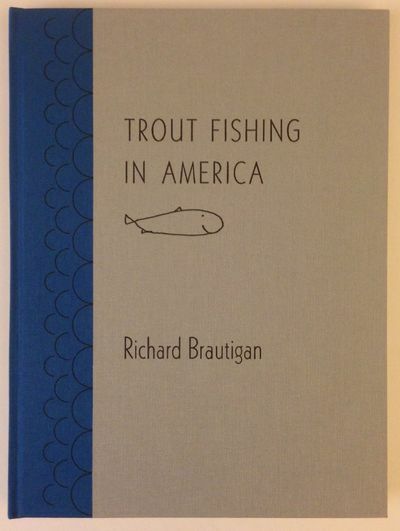 First Edition/First Printing. 145 pages. Retrospective collection of photographs. The single best overview on the photographic art of Lucien Clergue. The First Hardcover Edition. Precedes and should not be confused with all other subsequent editions. 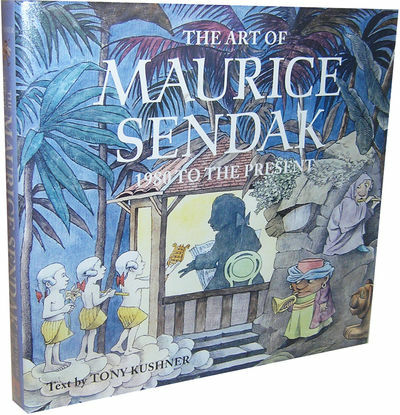 Published in a small and limited first print run as a hardcover original only. The First Edition is now rare. A brilliant production by Lucien Clergue and Prestel: Oversize-volume format. 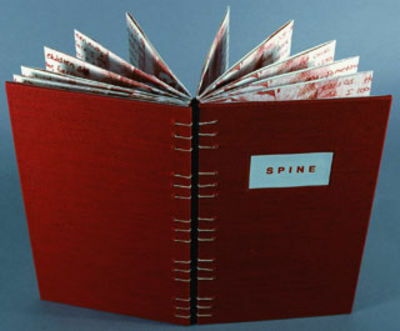 Pale gray hard boards with red titles embossed on spine, as issued. Photographs by Lucien Clergue. Definitive essays on every aspect of the photographer's art by various contributors, all of them world-class photography experts. Their text is presented in the French and German originals and felicitous English translations. 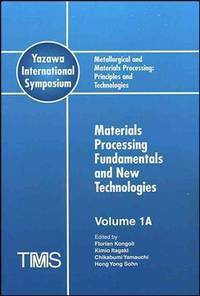 Printed on pristine-white, thick coated stock paper in Germany to the highest standards. In pictorial DJ with titles on the cover and spine, as issued. 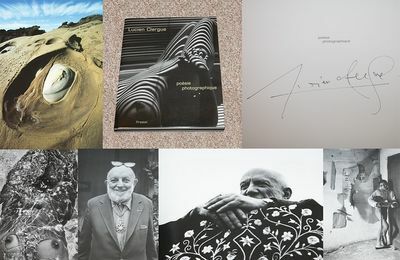 Presents Lucien Clergue's "Poesie Photographique". His "masterwork" images, beautifully supplemented with photographs that appear in published form for the very first time. "Traces the dynamic continuum of Clergue's career: From the mysterious Gypsies of his childhood, his friendships with Picasso, Cocteau, and other avant-garde personalities to breathtaking images of sea and sand, riveting nudes, and searing portraits. Creates a showcase of Clergue's life-long fascination with life, death, and the mysterious in-between" (Publisher's blurb). The book also includes a summary of Clergue's achievement as a multi-media artist, notably his Surrealist experiments and extensive correspondence with Jean Cocteau. It isn't an afterthought because Clergue is a major figure of 20th-century Modernist art, AS A PHOTOGRAPHER. His work effectively helped change our ambivalence about the artistic status and possibility of photography (even though it lingers to this day). That is to say, photography can be an art, is in fact, the art of our time, and the very best photography, like Clergue's, must be taken seriously. But it is NOT an art form in the way painting or sculpture is. It is - and will always be - a language, just like the movies, but as such, it has permanently altered the way we think of and understand art itself. Encouraged by no less than Picasso, his mentor and lifelong supporter, Clergue approached photography as a Modernist artist. Picasso's "institutional" support enabled him to advance from being an amateur to a professional artist/photographer who never needed to do commercial or editorial work in order to make a living (as almost all other photographers do). "The Monet of the camera" (Pablo Picasso). An absolute "must-have" title for Lucien Clergue collectors. <b><i> This copy is very boldly and beautifully signed in black ink-pen on the half-title page by Lucien Clergue. This title is a late-modern photography classic. As far as we know, this is the only such signed copy of the First Hardcover Edition/First Printing available online and is in especially fine condition: Clean, crisp, and bright, a pristine beauty. Please note: Most copies available online have major flaws, are un-signed, yet command unheard-of prices. A rare signed copy thus. </b></i> 150 plates. Lucien Clergue's "Toros Muertos" was selected as one of the greatest photography books in "The Photobook". One of the greatest artist/photographers of our time. A fine collectible copy. (SEE ALSO OTHER LUCIEN CLERGUE TITLES IN OUR CATALOG). Yarmouth, ME:: Allison Cooke Brown,, 2003.. Edition of 2. 10.5 x 6 x 1.25" closed. Opens 360 degrees. Coptic binding. pages and hinges printed by Xerox lithography of a ribcage and artist's writings, all in red. Linen cover with typeset label. Allison Cooke Brown is interested in investigating the territory of body and thought. Much of her work reflects her past struggles with breast cancer. Cooke Brown: " Aside from the pun of "spine" in a book format, I wanted to have my thoughts running along the surface of an interior of a torso. The book can be displayed open, 360 degrees to imitate the roundness of a body; but it also can be read as a narrative, since the writing can be read line by line, and which discusses questions of identity of who I am. - FIRST EDITION IN ORIGINAL WRAPS OF THE LANDMARK CLONING OF THE FIRST MAMMAL, DOLLY. British biologists Sir Ian Wilmut and Keith Campbell announced the cloning of Dolly in this paper, the first account of their efforts and research. Considered one of the most significant scientific breakthroughs in history, Dolly's birth (and survival until 2003) proved that mammals could be cloned from adult somatic cells through the process of nuclear transfer - essentially, adult cells could reprogram themselves into a new being. "Working at the Roslin Institute [part of the University of Edinburgh] in the mid-1990s, Keith Campbell, a coworker of Wilmut's "found a way to turn back the clock of a mature, differentiated cell. He deprived cultured udder (mammary) cells from adult ewes of nutrients for five days, forcing the cells into a 'sleeping' state in which many of their genes shut down. Wilmut and Campbell fused each quiescent mammary cell with a normal sheep egg cell from which the nucleus had been removed, and the cytoplasm in the egg cell somehow reprogrammed the adult cell's genes so that the combined cell could produce offspring cells able to differentiate into many different types. When the fused cell began to develop into an embryo, the scientists implanted it into the uterus of another ewe. "A lamb produced by this method (one of 277 attempts) was born from the mammary cell of a six-year-old Finn-Dorset ewe on July 5, 1996. Wilmut's group named her Dolly, after country-western singer Dolly Parton" (Yount, A to Z Biologists, 334). Transferring the cell nucleus from an adult into a developing egg cell that had had its cell nucleus removed - nuclear transfer -- meant that Dolly had, essentially, three mothers (one provided via the egg, another via DNA, and the third carried the cloned embryo to term. Wilmut and Campbell's work, cloning an entire mammal from a somatic cell, has since been replicated with other mammals. Scientifically and socially we are only beginning to investigate the full implications, biological, philosophical and ethical of their breakthrough. ALSO INCLUDED: Also included in this issue is 'An Udder Way of Making Lambs' by Colin Stewart. Stewart was asked to write essentially an 'editorial' on Wilmut and Campbell's work; in it Stewart both comments on the creation of Dolly and some of the questions raised by the science. CONDITION & DETAILS: First edition in original wraps housed in a custom made clamshell case, gilt-lettered at the spine. Complete. 4to. 11 x 8.5 inches (275 x 213mm). The wraps feature a photograph of Dolly on the cover. Address label, very slight scuffing at the edges. Tightly bound and bright and clean throughout. Near fine condition. San Francisco: Arion Press, 2003. First Edition, First Printing. Hardcover. Fine in original blue cloth backed boards with black lettering and design on upper cover and spine. A beautifully printed copy of Brautigan's masterpiece.. Quarto. 23 x 30.5 cm. 98 pp. Preface by Ron Loewinsohn. Laid in prospectus in original envelope with color reproduction of the Thiebaud print and a signed essay about Brautigan by Andrew Hoyem. Limited edition of 200 copies that include a color lithograph by Wayne Thiebaud bound in and signed by artist. This copy is hand numbered #190 on the colophon and signed by Andrew Hoyem, the founder of Arion Press. Barthel & Barthel Auflage: 1., Aufl. (2003) Auflage: 1., Aufl. (2003) Hardcover 1202 S. 24 x 17,8 x 5,2 cm Medizin Ganzheitsmedizin Homöopathie Das unerläßliche \"\"Handwerkszeug\"\" zum Repertorisieren. Es gibt viele gute Repertorien. Für den Anfänger ist das Repertorium von Boericke mit der dazu gehörenden Materia Medica ein sehr guter Einstieg.Für den bereits Erfahrenen empfehlen sich eine ganze Reihe an Repertorien - abhängig vom Geldbeutel. Ein sehr gutes Preis-/Leistungsverhältnis bietet hier \"\"Kent`s Repertorium Generale\"\" mit den berühmten \"\"Künzli-Punkten\"\" zur Kennzeichnung der besonders bewährten Leitsymptome und Mittel. Das Buch ist gut strukturiert und auch ohne ausgestanztes Griff-Register sehr gut zu handhaben. Versand D: 6,95 EUR Medizin Ganzheitsmedizin Homöopathie Das unerläßliche \"\"Handwerkszeug\"\" zum Repertorisieren. Es gibt viele gute Repertorien. Für den Anfänger ist das Repertorium von Boericke mit der dazu gehörenden Materia Medica ein sehr guter Einstieg.Für den bereits Erfahrenen empfehlen sich eine ganze Reihe an Repertorien - abhängig vom Geldbeutel. Ein sehr gutes Preis-/Leistungsverhältnis bietet hier \"\"Kent`s Repertorium Generale\"\" mit den berühmten \"\"Künzli-Punkten\"\" zur Kennzeichnung der besonders bewährten Leitsymptome und Mittel. Das Buch ist gut strukturiert und auch ohne ausgestanztes Griff-Register sehr gut zu handhaben. Vallecchi, 2003. Tre secoli fa il conte milanese Sebastiano Resta poneva mano ad una raccolta di disegni che per tipologia, qualità e quantità dei soggetti non aveva precedenti e non avrebbe avuto eguali. Erudito e plurilaureato, Resta visse a Roma dove entrò nella congregazione dell'Oratorio fondata da San Filippo Neri e abitò nella casa dei Filippini alla Chiesa Nuova, dove cominciò a raccogliere disegni originaTITOLO: Codice Resta.AUTORE: -- CURATORE: Riproduzione facsimilare dell'originale. Contributi di Gianfranco Ravasi. EDITORE: Vallecchi DATA ED. : 2003, COLLANA: l'originale. Carta speciale appositamente realizzata dalle Cartiere Miliani di Fabriano Tiratura limitata di 1000 esemplari. EAN: 9788884270610 Esemplare come nuovo. Heirloom & Howard Limited, 2003 Book. New. Hardcover. 1st Edition. 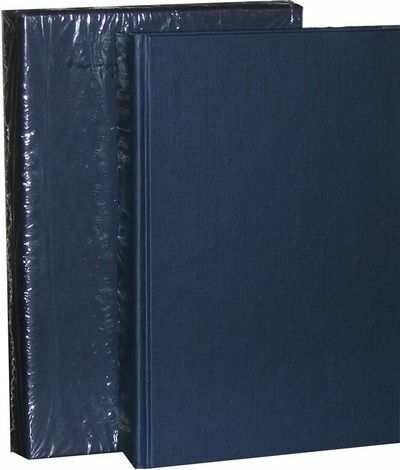 English text; dark blue buckram with slip case and dust jacket; 22.9 x 29.3 cm; 4.313 Kg; 904 pages with 1,880 colour illustrations, 1,500 armorial services described; STILL WRAPED IN PLASTIC. ; Foreword by Peter Ll. Gwynn-Jones, CVO, Garter Principal King of Arms. 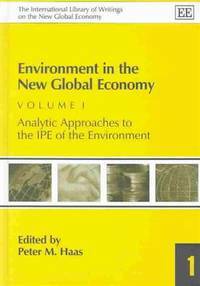 Introduction and four illustrated chapters on aspects of the China Trade: 1.Reflections, Replacements, Reproductions and Revival, 2.Of Counters, Carriages and Bookplates, 3.Armorial Porcelain for Scotland and the role of the Swedish East India Company, 4.Chinese Armorial Porcelain: The Market during the last Century and in the Future and The Laws of Blazon, a chapter on understanding heraldry. 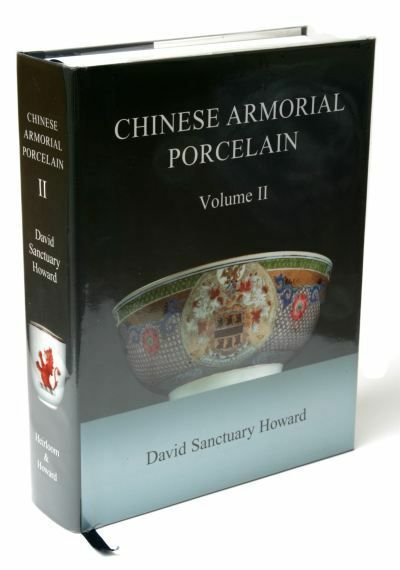 Together with a comprehensive analysis and classification of styles and dates of armorial porcelain; 16 appendices including details of directors, captains, ship-owners and merchants of the Hon. East India Company; Governors of Madras, Bombay and Bengal; Lords Mayor of London and city livery companies; analysis of owners of services; bookplate originals for services; and a complete list of mottoes recorded in both volumes. General Index and 50-page comprehensive Index of Services..
FIRST EDITION IN ORIGINAL WRAPS OF THE LANDMARK CLONING OF THE FIRST MAMMAL, DOLLY. British biologists Sir Ian Wilmut and Keith Campbell announced the cloning of Dolly in this paper, the first account of their efforts and research. Considered one of the most significant scientific breakthroughs in history, Dolly's birth (and survival until 2003) proved that mammals could be cloned from adult somatic cells through the process of nuclear transfer - essentially, adult cells could reprogram themselves into a new being. "Working at the Roslin Institute [part of the University of Edinburgh] in the mid-1990s, Keith Campbell, a coworker of Wilmut's "found a way to turn back the clock of a mature, differentiated cell. He deprived cultured udder (mammary) cells from adult ewes of nutrients for five days, forcing the cells into a 'sleeping' state in which many of their genes shut down. Wilmut and Campbell fused each quiescent mammary cell with a normal sheep egg cell from which the nucleus had been removed, and the cytoplasm in the egg cell somehow reprogrammed the adult cell's genes so that the combined cell could produce offspring cells able to differentiate into many different types. When the fused cell began to develop into an embryo, the scientists implanted it into the uterus of another ewe. "A lamb produced by this method (one of 277 attempts) was born from the mammary cell of a six-year-old Finn-Dorset ewe on July 5, 1996. Wilmut's group named her Dolly, after country-western singer Dolly Parton" (Yount, A to Z Biologists, 334). Transferring the cell nucleus from an adult into a developing egg cell that had had its cell nucleus removed - nuclear transfer -- meant that Dolly had, essentially, three mothers (one provided via the egg, another via DNA, and the third carried the cloned embryo to term. Wilmut and Campbell's work, cloning an entire mammal from a somatic cell, has since been replicated with other mammals. Scientifically and socially we are only beginning to investigate the full implications, biological, philosophical and ethical of their breakthrough. ALSO INCLUDED: Also included in this issue is 'An Udder Way of Making Lambs' by Colin Stewart. Stewart was asked to write essentially an 'editorial' on Wilmut and Campbell's work; in it Stewart both comments on the creation of Dolly and some of the questions raised by the science. CONDITION & DETAILS: First edition in original wraps housed in a custom made clamshell case, gilt-lettered at the spine. Complete. 4to. 11 x 8.5 inches (275 x 213mm). The wraps feature a photograph of Dolly on the cover. Address label, very slight scuffing at the edges. Tightly bound and bright and clean throughout. Near fine condition. 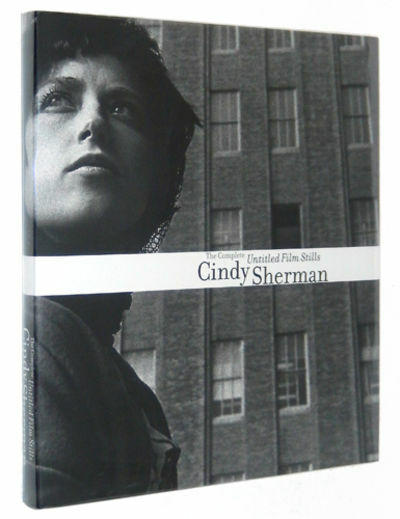 Cindy Sherman: The Complete Untitled Film Stills. New York: Museum of Modern Art, 2003 Hardcover SIGNED. First edition, first printing. Fine/As New cloth-bound hardcover in a Fine/As New dust jacket, protected by mylar. BOOKS SHIP THE NEXT BUSINESS DAY, WRAPPED IN PADDING, BOXED. This series of photographs was created between 1977 and 1980 and considered one of the seminal art works of the late 20th century. Mimicking various female character types from 1940s and 1950s B-movies, Sherman created a pantheon of modern female archetypes which have become more readily identifiable than stills from the movies they vaguely resemble. While working on this book, Sherman added one more image from a roll thought to be lost. The series is now defined by 70 images and is presented here for the first time as a unified work. Included on Vince Aletti's list of Best Photo Books of 2003. Photographs, sequencing, and essay by Cindy Sherman. SIGNED BY SHERMAN on the half-title; no inscription. 164 pages; 70 full-page duo-toned b&w plates + 6 text illustrations; 11 x 9.75 inches. LAID-IN is the MoMA flyer announcing the book signing and describing the procedure for getting one of the 500 numbered tickets to the event as well as ticket #5. Due to size and weight, international and expedited shipping will be more than quoted. Wiley-VCH, 2003. "Die Autoren des Sammelbandes strukturieren die Problematik aus der Perspektive unterschiedlicher Unternehmens- und Landeskulturen, schlagen ein Grundmodell f?r ein erfolgreiches Integrationsmanagement vor und beschreiben Instrumente, mit denen eine m?glichst friktionsfreie Zusammenf?hrung unterschiedlicher Mitarbeiterkulturen erreicht werden k?nnte. Die vorgestellten Vorgehensweisen werden entweder in Berichtsform oder im Interviewstil geschildert. Das Konzept des Buches bietet allerdings auch eine Plattform f?r eine mitunter allzu PR-nahe Selbstdarstellung, indem Vertreter der Unternehmen selbst ihren Weg zu einer internationalen Aufstellung beschreiben." Personalf?hrung Nr. 11 2003 Dr. Peter Maier ist CEO der East-West Executive Consult, die sich mit internationalen M&As und internationaler Personalberatung besch?ftigt. Als Managing Director des Europa-HQ von Sony hat er zuvor europaweite Verantwortung f?r den Konzern getragen. Riverside, New Jersey, U.S.A.: Simon & Schuster, 2003. Limited Numbered First Edition. Cloth. Fine - As New/No Jacket, As Issued. A handsome Limited Numbered First Edition signed by Hillary Clinton on the limitation page. Numbered 1206 of 1500 Limited Edition copies. With number line 10 9 8 7 6 5 4 3 2 1. In fine unread condition in blue cloth with gold titling. 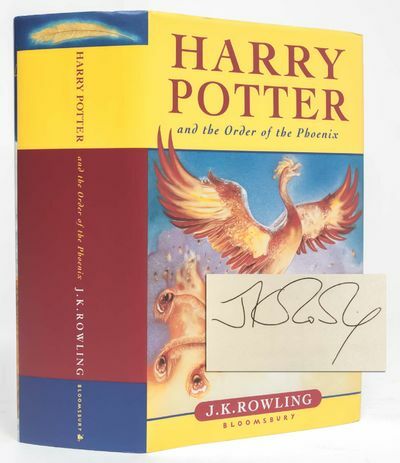 The fine matching slipcase is still covered in the original shrinkwrap with a front slit permitting the removal of the book to verify the signature and limitation number. This book was not opened for pictures. A beautiful copy. - Det danske Sprog- og Litteraturselskab/Gyldendal, København 2003-2007. Stor 8°, illustreret med H.C. Andersens klip, tegninger og kollager i s/h og farver, orig. lærredsbind i smudsomslag, velholdt sæt. Tekstkritisk udgave ved Finn Hauberg Mortensen og Flemming Lundgreen-Nielsen. Første "Samlede Værker" siden 2. udgaven 1880. fiction skønlitteratur Gert 2011 april korrektur. Wiley-VCH Verlag GmbH & Co. KGaA, 2003. Prof. Dr. Dr. h.c. J?rgen Weber ist Inhaber des Lehrstuhls f?r Controlling und Telekommunikation, Leiter des Zentrums f?r Controlling und Management sowie Leiter des K?hne-Zentrums f?r Logistikmanagement an der WHU Vallendar. .Prof. Dr. Barbara Wei?enberger ist Professorin an der Justus-Liebig-Universit?t in Gie?en und Inhaberin des Lehrstuhls f?r Industrielles Management und Controlling. Sie ist Tr?gerin des ?sterreichischen Controlling-Preises 2003. ANNALS OF BENDIGO. Volumes 1 to 9. Volumes 1 to 5 bound together. 2003. 2 ff. elegantemente vergati con notazione musicale quadrata su tetragramma in inchiostro rosso, iniziali filigranate in inchiostro bruno e rosso e grande iniziale miniata che segna l'accesso al responsorio "Fuit homo missus a deo" per la festività di San Giovanni Battista. L'Iniziale F(uit) (155 x 157mm) presenta corpo della lettera rosa con filigrane bianche circondato da ampio listello in foglia d'oro e raffinata bordura laterale fogliacea sui toni del blu rosa e verde con bottoni in oro. Nello spazio interstiziale dell'iniziale F si erge S. Giovanni che sorregge una croce e l'agnello su ampio sfondo paesaggistico. Le caratteristiche stilistiche e la raffinatezza dell'esecuzione fanno propendere per un'attribuzione all'ambito cremonese del terzo quarto del XV secolo: Frate Nebridio e Baldassare Coldiradi possono essere citati come stringenti punti di raffronto (P. Palladino, Treasures of a Lost Art, 2003, pp.129 - 132; A. Melograni, Miniature inedite del quattrocento lombardo nelle collezioni americane. Seconda parte, "Storia dell'arte", 83 1995, pp.5 - 27) insieme al Terzo Maestro del Bessarione (A. Melograni, Un antifonario ricomparso. Nuove proposte per il catalogo del Terzo Maestro del Bessarione' "Bollettino d'Arte", 124 2003), al quale il nostro maestro sembra avvicinabile soprattutto per la gamma cromatica e per l'utilizzo di contorni semplificati. Della stessa mano del nostro bifolio e probabilmente parte del medesimo Antifnario pare siano alcuni ff., attualmente al Museo Civico Amadeo Lia di La Spezia (F. Todini, 1996, pp.59 - 61), con un'iniziale di S. Lorenzo. Ottimo esempl. Apotheca spiritualium pharmacorum contra luem contagiosam aliosque morbos, ... Including: [WICHMANS, Augustin]. Diarium ecclesiasticum de sanctis contra pestem tutelaribus, ...Antwerp, Hieronymus Verdussen, 1626. 2 parts in 1 volume. 4to. With Verdussen's woodcut lion device on title-page. Contemporary blind-tooled pigskin over wooden boards (front board with gold-tooled initials "G*F*A*G" -- George Falb, Abbot of Göttweig Abbey -- and date "1630"), with 2 strap fastenings with engraved brass clasps and catchplates, and brass anchorplates. C. Caspers, "Tegen de pest en tegen de ketters", in: A.L. Molendijk, ed., Materieel Christendom (2003), pp. 249-272;Krivatsky 12981 (part 2 only); STCV (5 copies); not in BMN; Caillet; Coumont; Thorndike; etc. First and only edition of the first extensive work and most unusual work of the Premonstratensian monk, Augustinus Wichmans (1596-1661) from Antwerp, later Abbot of Tongerlo. Like all his works it is primarily religious in nature but in this case it is also medical, a spiritual regimen against the plague and other contagious diseases. It describes itself as an apothecary of spiritual pharmaceuticals, with the second part providing a month by month calendar of patron saints who can protect one from the plague. But Wichmans's pharmacopoeia is concerned not with the preparation of medicinal plants but with, for example, a Saint John's gospel that one can wear around one's neck and various other amulets (including wearable reliquaries). His instructions for constructing and blessing these amulets are very precise, for the devil was always lurking, hoping to lead the maker astray and turn the devices into his own evil weapons. Wichmans notes that witches tortured in Roermond in 1613 had confessed that the devil had helped them make such devices to give them supernatural powers, for example of flight. He also notes that leaves of the original species of palm for use as amulets come only from Palestine and Arabia, but that a local species can substitute for it. The book has been largely overlooked in the literature on medicine and on witchcraft.From the library of George Falb (1612-1631), Abbot of the Benedictine Göttweig Abbey, about 60 km west of Vienna. Somewhat browned throughout and with an occasional minor and usually marginal stain, but still in good condition. A remarkable window into early 17th-century Catholic views on amulets for protection from disease. The Curious Incident of the Dog in the Night-Time +++ Free SIGNED SET of the THREE different ARC's +++ PLUS .